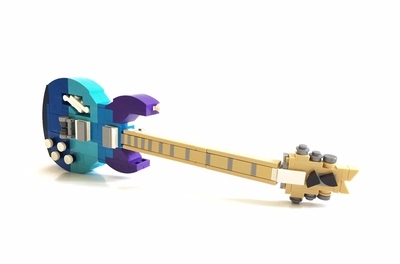 Producing a quality product - be it a house, a jacket, a computer, a delicious meal, an abstract painting or a Lego set - requires dedication, knowledge and skill. Jazz and contemporary music label ECM Records has embodied these qualities since its inception in 1969. The same can be said of jazz-guitarist Pat Metheny, winner of 20 Grammy awards. 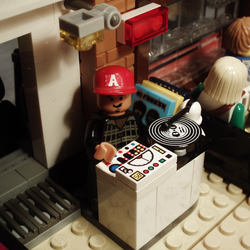 The Jazz Studio Session Lego-set features Metheny and his collaborators at an ECM recording facility. ECM Records was founded by Manfred Eicher (b.1943) in Munich, Germany, which still serves as the label's home city. From the start, the company aimed to produce quality music albums. While first concentrating on jazz, ECM later widened its reach to include classical music (both old and modern) as well as world music. Eicher continues to be the label's main producer to this day. He is often praised for his acute ear and artistic sensibility. ECM Records is also notable for its independent status. It is no exaggeration to state that ECM has deeply influenced our modern music landscape - or soundscape to be more precise. Guitarist Pat Metheny (b. 1954) is one of the most popular jazz-artists, drawing in an audience that goes beyond musical categories. He is known for his ever-curious attitude and dedication. This is reflected in his multi-faceted discography, which ranges from more traditional jazz to avant-garde stylings and from pop to world-music tinged tunes and movie soundtracks. 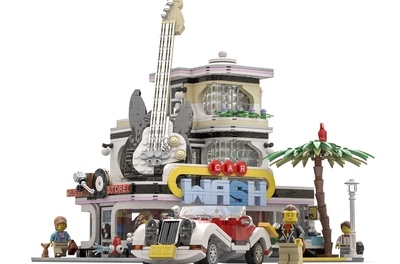 Metheny recorded 11 albums for ECM, including 1981's As Falls Wichita, So Falls Wichita Falls, whose recording session is depicted in this Lego-set. The Jazz Studio Session -set can work both as a display-set and a play-set, albeit for older children. The main structure can easily function as a recording studio platform for imaginary music artists or other user-built real-life musicians and bands. The set includes various pieces of equipment that can be re-arranged to the user's liking. 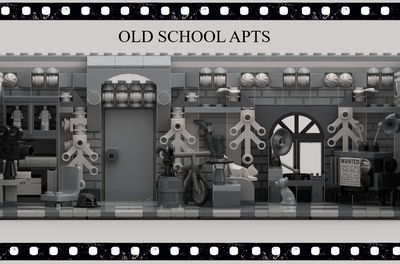 The set's parts-count and size are moderate, which should help in being able to offer this set at a reasonable price. 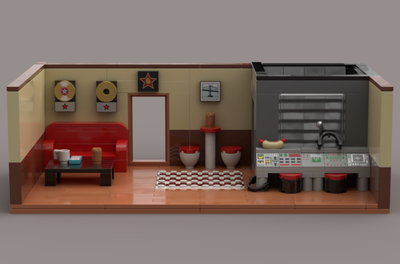 Because of its subject-matter, the Jazz Studio Session -set has a slightly similar feel of "culture" as the Lego Architecture -sets, while still appealing to more play-oriented consumers as well because of the set's use of Lego minifigures. Fans of ECM Records, Pat Metheny and jazz music in general should naturally enjoy this set, even if they're not usually into Lego. Furthermore, lovers of music at large should find this set appealing - not least for the ability to use the main build and equipment towards their own custom-tweaks with ease. This aspect could be emphasized by including additional instruments in the set (such as a bass or a saxophone etc). The Jazz Studio Session -set helps to raise popular awareness of lesser-known musical styles. This is not to diminish the value of more popular music genres, but to simply show that a whole host of great sounds and experiences await the open-minded explorer. In addition, the Jazz Studio Session -set's wider message is that in order to become good at something, hard work is usually required. This, in turn, is not the opposite of having fun. On the contrary: skillful and playful activity in any area of life is enjoyable in and of itself. Through its subject-matter, the set promotes the wholesome values of dedicated craftmanship and creativity.